This shopping list is written so you can stop by the deli to place your order, head to the produce department, then work your way through the inner aisles of the store, picking up dairy and meat products last so they don't warm up as you shop. Of course you can go about it in any order you choose. 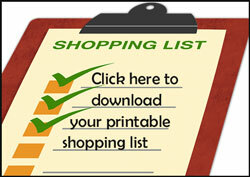 Place a check by the items you need and use the blank lines to write in your own items. 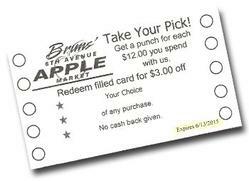 Use our loyalty card to save more on your groceries. Forgot your bag? 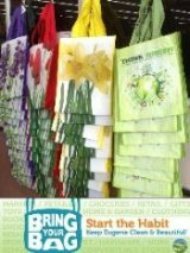 We have reusable totes available at the checkstands, paper bags are available for 5 cents each or we usually have a supply of FREE boxes available.